Control is weird. Well, it’s not just weird, it’s ‘new weird’, taking its cues from the literary genre of the same name. It’s a shooter, but it’s story-based and the story is batshit. While also being the thing that makes the game stand out, it’s difficult to communicate to an audience that might not be familiar with some of the genre’s touchpoints. Have you read House of Leaves? Have you read Annihilation? If you have, you probably have a good baseline for the level of mindfuckery you’re in for. If not, here is a man observing an electrical appliance. It feels like every part of the game that isn’t the shooting is potentially alienating to a mainstream audience, but that’s why it’s so cool. Even the art design, which swaps out rich textures for the stark, sharp lines of brutalist architecture are potentially a turn-off for an audience that’s been spoiled by granular detail in every inch of their triple-A games. 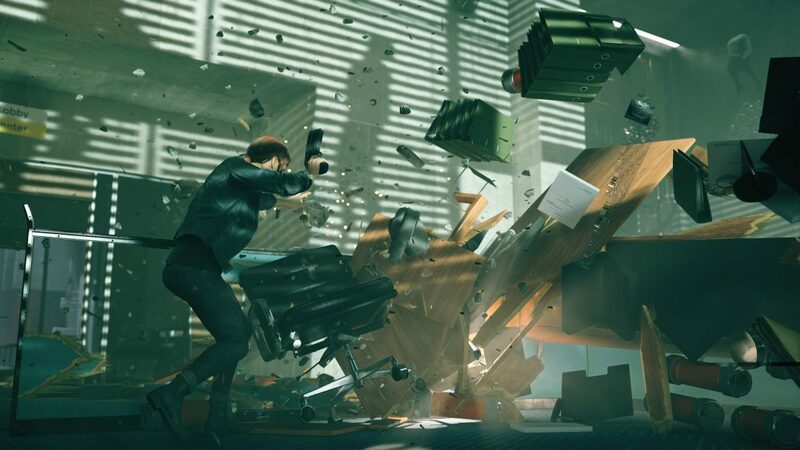 On a mechanical level, anyone who’s played Quantum Break will feel at home, of course. You have a gun, you have supernatural abilities, and there’s a rich physics system underpinning it all. You can raise debris from the ground to create a bullet shield, you can launch any inanimate object at enemies (including other dead enemies), you can float, and you can even pluck incoming rockets out of the air and fling them back at your assailant. But Control is a different beast to Remedy’s previous work in a lot of ways. For one thing, it’s much more open. You explore The Oldest House, an otherworldly, dimensionally-impossible skyscraper that shifts and changes, in whatever direction you wish. There are sidequests, some of which have a story payoff (fridge man) and some of which have loot. Yes, loot. There’s even a conversation wheel, though that’s there to add a little more agency, rather than to change the story in any meaningful way. In fact, player agency seems to be the big change here. Not only are the levels more open, but cutscenes are sparse and many conversations happen while you’re still in, well, control. And that’s the core of the problem: if you see or play a section of the game out of context – on a show floor at PAX East, for example – it feels and looks great, but you’re left wondering if the weirdness will pay off. Mechanically, it’s nothing we haven’t seen before – it’s a more polished, modern take on Psi-Ops – but it’s the story and slick aesthetic that really piques my interest, and this is wholly subjective and likely influenced by the fact that House of Leaves is one of my favourite books ever. 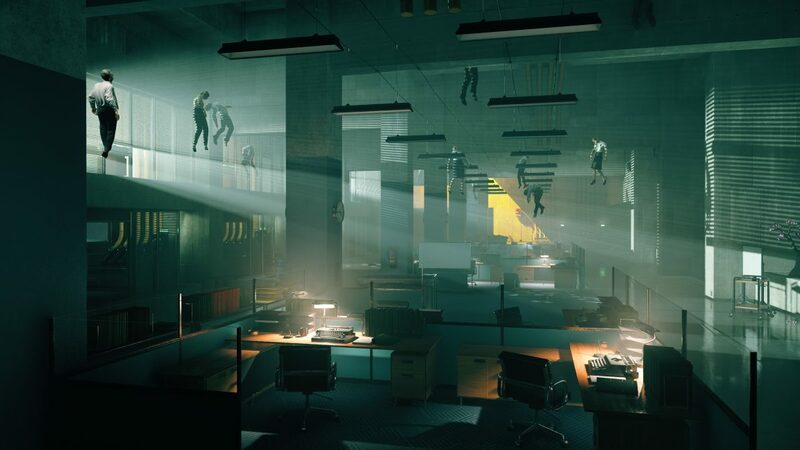 With five months left until launch, I just hope Remedy finds a way to communicate what’s so different about Control without using specific reference points that only a select group of people will get.